As a women-led research and development organization working to incubate ecological solutions to Haiti’s sanitation crisis, we were honored when Nina Chhita reached out and told us about her project to highlight the critical and often undervalued work of women in science. 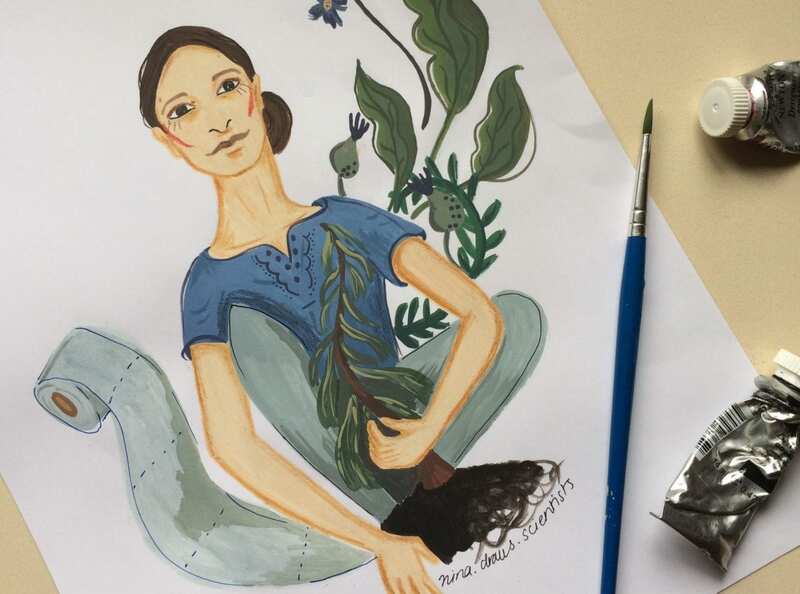 As an illustrator, Nina works to share the stories of groundbreaking research women are conducting throughout the world, and she painted SOIL’s very own Dr. Sasha Kramer! “Dr Kramer is the brain behind SOIL, which combats the sanitation issues in Northern Haiti whilst transforming waste into a product that can sustain the business. In a country which lacks even a basic central sewage system, it’s people are susceptible to unnecessary infections and canals are clogged with waste. This issue seeps it’s way into health, quality of life and even the landscape. This is where SOIL comes in. Providing homes with toilets, the waste is collect and transformed into rich compost. This compost is sold and helps to grow nutritious food. It’s cycling at its best. In addition to keeping waste off the streets, SOIL provides Haitians with jobs. Today SOIL is the country’s most well respected sanitation providers. Thank you, Nina! For more on the power of female entrepreneurship and advice Sasha has for girls who dream of becoming entrepreneurs and scientists themselves, check out this interview. No Replies to "Illustrating the Research of Pathbreaking Women in Science"